I feel sorry for you. It’s sad to see someone reduced to your level. I clearly and specifically said that the archive and custom search features allow searching of the past Google News articles. If you believed something was missing, find it on Google — identify it — and see why its not in the Google News archive. As Google Help explains, things get dropped for many reasons (I gave links to some explanations on Google Help). It’s this kind of behavior that has made the climate change issue the mess that it is. I’m done here. I wanted to learn about your website, and have learned what I wanted to know. If that’s the case then you can always sit back and watch,but No you diodn’t do that did you! “It’s this kind of behaviour that has made the climate change issue the mess that it is” – Yes, you are right, because alarmists cannot handle dissenting opinion. Instead of holding debate, you run. When confronted with facts, you run. We won’t miss you. No one will. makes you wonder what’s up with Google? 18 May 2012 – Miriam Goderich edited the text of the bio; she is now a partner at the Dystel & Goderich agency, which lists Obama as one of its current clients. No you don’t. You are not doing the same search. I found it with no problem. 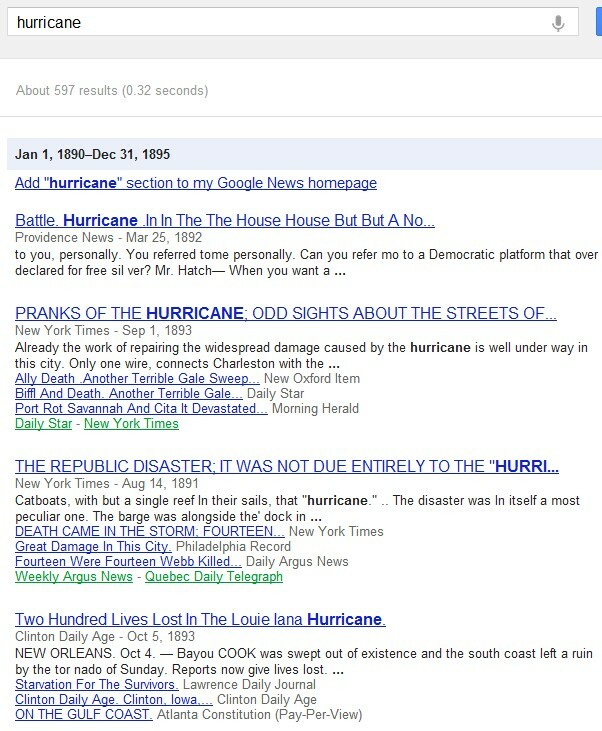 Yep – thats how I found it, via the news Archive and the normal Google home page. It doesn’t pop-up as a top search but it is there. The fact it isn’t a top search suggests nobody was following it rather than someone suppressed it. I get 140,000 hits – on a straight search using Bing. I trust Google less than Micro$haft. Steven, is it possible that you have made an error in the below link that you posted to the other page? When I run it, I get over 2 million hits, but nothing on the first page is from the 19th century. Also, when I run the first link you gave for the Goderich Obama search, I get a bunch of stuff from August. I think it would be good if this could be cleared up, because there is a very, very large number of people out there (myself included) who have never tried to search Google News archive for a date range, and it’s really not possible to see any date range in the links you gave. So for a newcomer like myself to this issue, it can tend to give the impression that you may be misdirecting for some reason. If you are right, and Google has indeed purged that one story from a date-range-searchable list of articles, that is huge news, and a good link should be shown so that John Q. Public can confirm it for himself. Thank you for all hard word you have been doing on your blog. Don’t know where that came from, sorry. So, if your links are not in error, why am I not getting what I am supposed to be getting? Are you clicking on the links? I have no idea what you are doing. Sorry if I wasn’t clear. I just right clicked, “copy shortcut”, paste in browser and hit enter. I get results, it’s just not what I’m expecting based on the date ranges you’re stating. Just click on it and see what you get. That’s everything on the first page. As you can see, all of these are from August. So it gives (at least me) the impression that there may be something wrong with the link, causing Google News to default to the most recent articles. Something is wrong. Your dates are not from May and you are getting Goderich tornado results, not Goderich Obama results. I am not sure if this is pertinent, but for standard Google searches the results you receive depend in part on what past searches you have done. Is it possible that Google even massages the Google News archive results for different users? Remember, Google is not in the business of providing a product to YOU, they are in the business of selling YOU to their customers. Most of the confusion in the comments comes from 2 problems. 1) Folks are not replicating Steven in using Google News searches for May (a setting on the left hand side). This search used to result in several hits on the fact that his publisher said he was from Kenya. Now it returns nothing. If you don’t limit the search, you still get plenty of hits, but nothing from news stories about the publishers ‘Kenya’ mistake. 2) When you do a Google News search w/o the specific dates, Google returns a link at the top that is not part of the News search, but a general internet search. That result happens to be the ABC News story about the publisher’s Kenya mistake, so some are interpreting that to be a News result, when it is not. The News results appear below, and do not include the Kenya mistake story. Ok, I see what you are emphasizing. Use the Google News seach (not the web search) and there are no articles as one would expect. Starts with the Goderich Tornado.